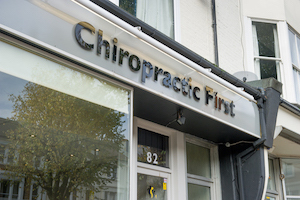 Chiropractic First has been open since 2006. The very central location of our Clinic makes us extremely well served by public transport, being just a minute walk away from Hove Station, Bus 7 and 21 stops and public parking. Our aim is to enhance people’s quality of life by optimizing their spinal function and nervous system function. At Chiropractic First, we pride ourselves on making every effort to educate our patients about posture, the nervous system, nutrition and stress so that they can make better lifestyle choices for themselves and their families. The purpose of our clinic is to support as many Brighton people as possible in their quest for health and educate them about chiropractic so that they in turn may educate others. Here at Chiropractic First, we find that the ideal patient is one that takes an active role in their care. We believe that the body is self-healing and self-regulating. Chiropractic facilitates the body’s power to do so. Patients who gain an understanding about how the body functions and become aware of the do’s and don’ts, will inevitably get better results. How long will it take for pain relief and full recovery? Length of care varies based on each and every individual case. During your first consultation at Chiropractic First you will receive a complete and thorough assessment, which includes a physical examination, computerised spinal scan and X-rays if clinically required. This approach assures you will receive the best care tailored to your individual needs to give you faster pain relief and a successful strategy for a long-term resolution. Our vision of health for the Brighton community would be that everyone understand that better health comes from better lifestyle choices and not through better chemistry. We would love to see the public well informed and knowledgeable about preventative care and wellness. A future where people do not gauge their level of health or disease based on the presence or absence of symptoms. Instead of popping pills when feeling ill, everyone actively does their best to eat the best diet, have plenty of exercise, reduce stress levels: the chiropractic lifestyle. To find out, please contact our Brighton and Hove clinic to make an appointment so we can help you start on your quest for health.